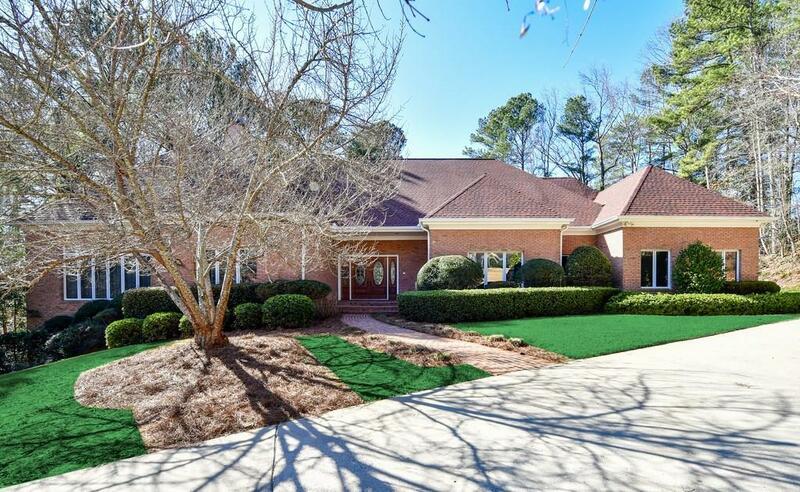 One level living in prestigious neighborhood with optional swim/tennis. Open plan with king-size rooms! Kitchen open to keeping room, great room open to dining room, perfect for entertaining flow. Level circular driveway, great for shooting hoops and parking guests. Over-size sitting room off master or room in basement could be fourth bedroom. Finished terrace level rec room with tons of built-ins & full bath. Largest unfinished basement storage ever! No need to get rid of anything - you have room for it all here! Light and bright throughout w/high ceilings. All brick. Directions: Roswell Road To Mt. Paran; To Long Island Turn Right; Left On Glen Errol, Turn Left On Green Glen Way; Left On Errol Place.